Quartzite is a metamorphic rock and formed from pure quartz sandstone through heating and pressure. Pure quartzite stone occurs in grey to white tones, but due to varying amounts of iron oxides (Fe2O3), it is also found in different shades of pink and red. Apart from Fe2O3, other mineral impurities can impart other colors to quartzite, such as green, blue, orange and yellow. Despite being extensively used in the construction sector, quartzite is one such stone for which, a lot of confusions and misconceptions exists. According to a few, it etches, but for others, it does not. Likewise, some considers it as a hybrid of marble and granite, while others simply label it as marble (due to its similarities with marble in terms of looks). However, the fact is that it has very distinct properties that are different from both marble and granite and these help to get it distinguished from marble and granite. India has sizeable reserves of quartzite stone in various states with Rajasthan and Himachal Pradesh being the ones from where commercially extractable quartzite are quarried and supplied domestically as well internationally. A well-known quartzite manufacturer and exporter from India can be contacted for buying quartzite products and getting it exported to the country of your choice. Hardness: Quartzite is pretty hard and the concept of “soft quartzite” is a complete myth. Nothing like soft quartzite exists and in case you find somewhere any stone being labeled as “soft quartzite,” it is likely to be just a marble. Acid Resistance: Acidic fluid like lemon juice and vinegar cannot cause etching in quartzite. So, if you find any stone getting etched with the label of quartzite, just consider that the stone has been wrongly labeled. It could be either simple marble or dolomitic marble as these stones looks like quartzite, but get easily etched from acidic kitchen fluids. Porosity: Quartzite has a varying level of porosity with a few varieties being less porous, while some being relatively more porous. Like other porous stones, periodic sealing is recommended for quartzite variants with high porosity. Mislabeling is a common phenomenon with quartzite in almost every corner of the world; hence ensuring its originality is very important. Thanks to the extremely simple Glass Test that can easily identify a true quartzite and can be performed by even the most inexperienced person. Hardly press the pointed edge of the stone against the surface of the glass tile and try to draw a straight line. Real quartzite can easily scratch the glass and the sound of grinding can be easily heard. Thus, a prominent scratch on the glass tile confirms the genuineness of the quartzite. A non-quartzite material will either bring an inconspicuous scratch or no scratch on the glass tile. 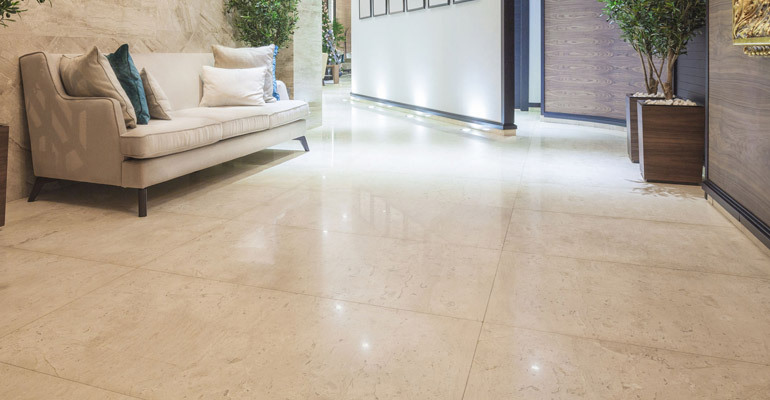 A mislabeled stone tends to be slippery on the glass surface and when rubbed against a glass tile, would just leave a powdery trail without producing any grinding sound. Knife Blade Test: A knife blade is required for this test. Try scratching the stone surface with the pointed and sharp knife blade. If it is a real quartzite, it would get scratched very lightly or there would be no scratch. On the contrary, marble or dolomitic marble are easily scratched by the knife blade. Etching Test: Spread some vinegar or lime juice on the stone slab that needs to be checked. Let it be there untouched for the next 15 minutes or so, and then wipe off the spill completely with a cloth. Now, observe the wiped off area. An etched area would either appear lighter or darker or relatively dull in comparison to the rest of stone surface. 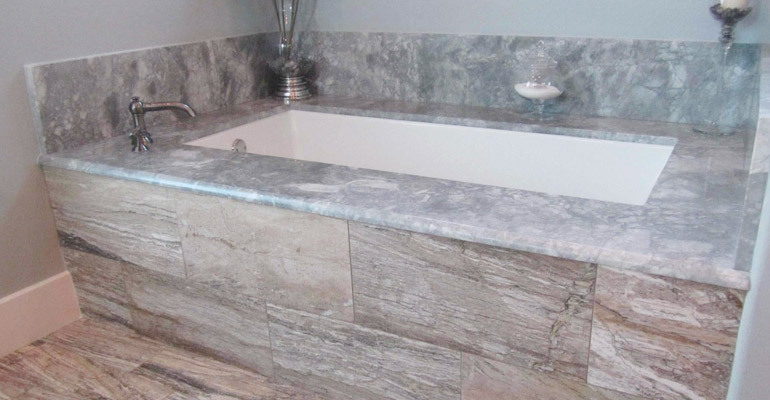 Factors like place of origin, name labeling and price can never guarantee you the originality of the quartzite. In other words, these are not the parameters that can distinguish quartzite from a non-quartzite stone or other material. Granite is completely a different category of stone with its own unique set of properties and looks. Granite is basically an igneous rock with granular texture. Granite has prominent streaks in dark shades, whereas quartzite has either no dark hues or areas with indistinct flowing patterns of various colors. Though geologically quartzite and granite are entirely different rocks, they still share almost similar properties. They both can’t be etched by acidic fluids and are harder than glass. 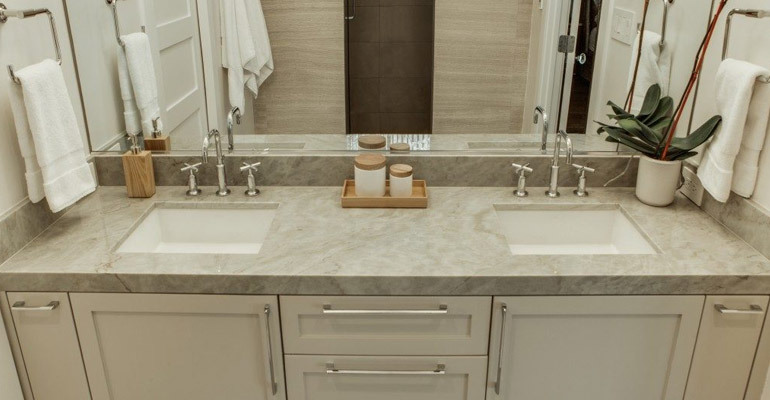 Sometimes, you may find granite being wrongly labeled as quartzite, but that is not a major thing to worry about as both granite and quartzite perform equally well as countertop slabs – the most common application of both the stones. 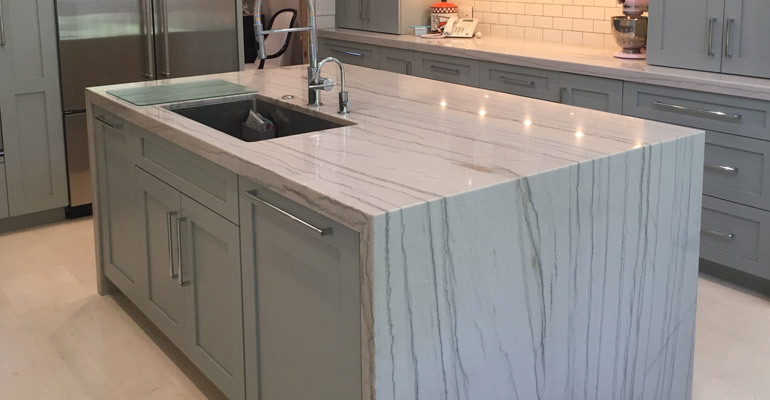 Now when you can easily differentiate between quartzite and other similarly looking stones, it is a good idea to further learn about proper care, cleaning and maintenance of your stone. For this, you can go through several tutorials and DIY articles on the internet (usually shared by industry experts) or may contact your stone dealer, fabricator or installer. Proper maintenance will not just help you to avoid stone-damaging mistakes, but also maintain its shine and ensure the longevity of your stone products.